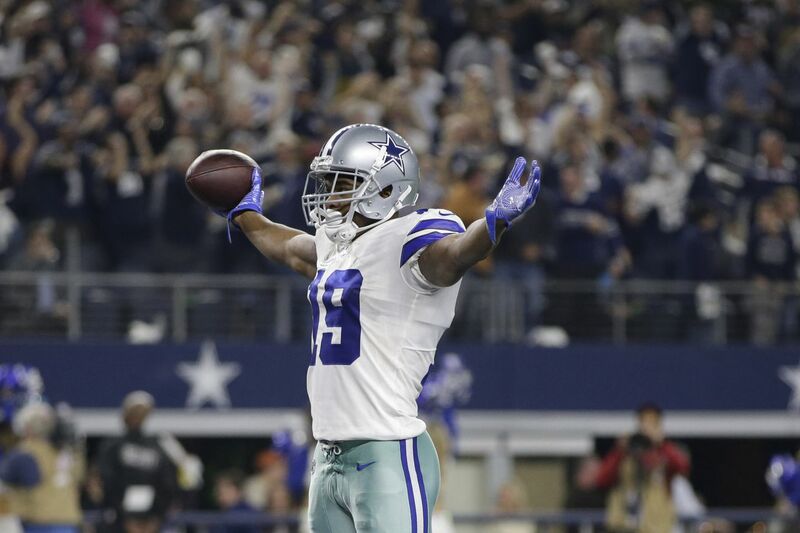 How much is it going to cost the Cowboys to keep their new star wide receiver? The front office of the Dallas Cowboys is going to have some big financial decisions to make this offseason. Between their own free agents and several players with expiring contracts looming, there could be a lot of new deals getting done soon. We know the team will re-sign DeMarcus Lawrence. It’s just a matter of how much it’s going to cost them. A couple weeks ago, we took a shot predicting his contract, estimating he’ll cost about $19.3 million per season. The Cowboys also have several other of their own free agents hitting the market. Cole Beasley may very well receive bigger offers from other teams to where he won’t be playing for the Cowboys in 2019. While everyone would love to see Beasley return to the team, the front office has to be responsible with their spending so they can continue to re-sign their star players. One of those star players is recently acquired Amari Cooper. The Cowboys traded a precious first-round draft pick (27th overall) to the Oakland Raiders much to the chagrin of Cowboys Nation. But it didn’t take long to turn those frowns upside down as Cooper made a huge impact during his time in Dallas. He’s awesome; we love him. While Cooper is a great wide receiver, he also comes with an expiring rookie contract. Oakland picked up his fifth-year option so he’s under contract for another season, but the Cowboys need to get a long-term deal done to protect their 2019 first-round pick. What does this all mean? Let’s take a look at the Amari Cooper situation and determine what makes the most sense. When the Cowboys made the trade to acquire Cooper they had already made their mind up that they were going to sign him to a long-term deal. You don’t give up a first-round draft pick without expecting to shell out a good chunk of change to keep him. Cooper has put together a nice body of work during his first four years in the league and the future looks promising for this 24-year-old wide receiver. What we sorta know - just how good is he? 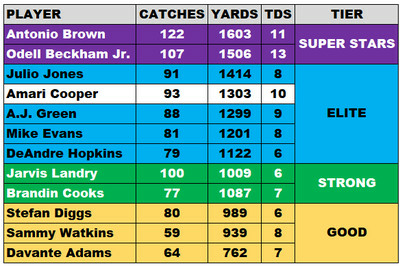 Before we estimate Cooper’s market value, let’s try to place him in the correct tier of receivers. How does he stack up against the other top paid receivers in the league? To get a good idea where Cooper fits, let’s look at the numbers for some of these receivers leading up to their second contract. Cooper’s first four years have been really good which has earned him three trips to the Pro Bowl. He hasn’t produced at the superstar level that Antonio Brown or Odell Beckham Jr. has and there’s a reason why those guys are the two highest paid receivers in the league. 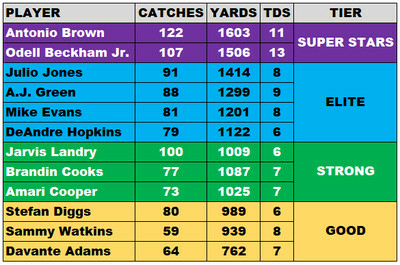 Cooper’s also not in the elite tier as this group also contains some of the top receivers in the league. Where he fits in the best is with Jarvis Landry and Brandin Cooks. Landry’s been a catch monster throughout his career, but outside of that, these numbers are very comparable. This puts Cooper in the “strong” category. What we don’t know - how much will he cost? If Cooper’s talent is comparable to Landry and Cooks, then it’s reasonable to expect him to demand a similar contract. Of course those guys got new deals last offseason and the market price for premium receivers has gone up bit. To get a proper estimate, let’s calculate his new salary based on the cap percentage required from players in his tier. Calculating an average of Landry and Cook’s cap % estimates that Cooper’s average annual salary will be 8.83% of the salary cap. With the 2019 cap estimated to be between $187 and $191 million, that projects Cooper’s annual salary to be $16.7 million per year. That’s a hefty price to pay, but players like Cooper aren’t roaming around all over the league. He’s one of the better ones. And you don’t have to convince Cowboys fans just how much he meant to the team. What’s the rush - why not play him under his fifth-year option? Cooper’s $13.9 million salary is circled as well as a couple others you might want to keep your eye on for later. Some may wonder, why bother giving him a contract extension right now? Why pull the trigger on upping his cost to $16 million a year when they still have a season where they’re only paying him $14 million? It would be nice if the answer was that the team wants to show good faith and reward players for what they’ve done. It sets a good precedent. While that makes us feel warm and fuzzy, the reality is - the NFL is a business. If the team gives him a long-term deal, it’s because it saves them more money in the long run. Take Zack Martin’s contract, for example. The Cowboys could’ve saved some money last season by playing him under his fifth-year option price, but instead signed him to a six-year deal that bumped up his annual salary by nearly $5 million. While they might’ve gotten savings up front, it would’ve ended up costing them more money in the long run because the market value increases each year. Not only that, but if you stack another All-Pro season on his résumé, that’s only going to jack up his price. A couple years from now, Martin’s deal will seem like a bargain. And that’s why they’ll give Cooper an extension. If they believe he’s the real deal, then signing him now saves money. Cooper’s mini-slump in Oakland can actually save the Cowboys a little money because his stock may go up after another season in Dallas. If you project Cooper’s production during his 11 games with the Cowboys (nine regular season + two playoff games) over a 16-game season, he moves into the elite category. Numbers like that would cost the Cowboys even more money as he would take up an even larger percentage of the cap space. Furthermore, the 2020 cap is likely to reach $200 million so Cooper’s annual cost would be on the north side of $19 million, making him the highest paid wide receiver in the NFL. 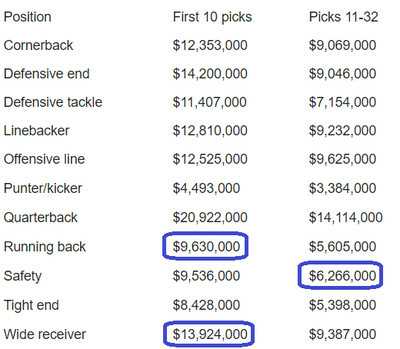 By acting now, the Cowboys can save a total of $13.5 million. There is no reason to drag this out. They know what they have in Cooper and securing an legit number one receiver for years to come would be a great achievement for this organization. Good things come to those players who go about their job the right way and produce on the field. Amari’s done exactly that - pay him. Predicted contract: Five years, $82.5 million.